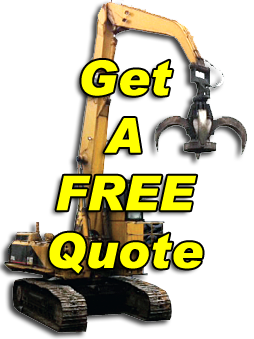 Best Prices for Your Scrap Metal! Scrap Metal in Port Hope - Top Dollars Paid! At Port Hope Iron & Metal we have certified scales that are calibrated several times a year. We use a state of the art software program that will link your whole experience together eliminating any chance of error. 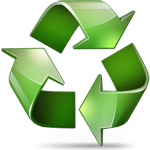 We are your #1 choice for metal recycling! 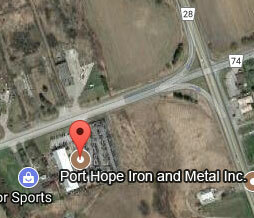 Your experience at Port Hope Iron & Metal will be like no other scrap yard you have been to before! Our friendly staff and clean unloading area will make your experience one to remember. We pay top dollar for you unwanted scrap metal! This is a family run business that is dedicated to our customers and building our brand! We are proud to be serving: Port Hope and the Northumberland County including the Town of Cobourg, Brighton, Campbellford, Colborne, Hastings, Baltimore, Bewdley, Camborne, Centreton, Grafton, Warkworth, Trent Hills, Township of Hamilton, Alnwick/Haldimand, Cramahe, Gore’s Landing, Harwood, Roseneath, Castleton, Codrington, and Trent River area. We buy - Copper, Brass, Aluminum, Stainless steel, Batteries. We buy- Cars, Trucks, End of life trucks, End of life fleets, Farm equipment, Obsolete equipment. We pay best prices in town! We provide towing and TILT AND LOAD services. 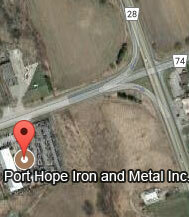 Port Hope Iron and Metal Inc.